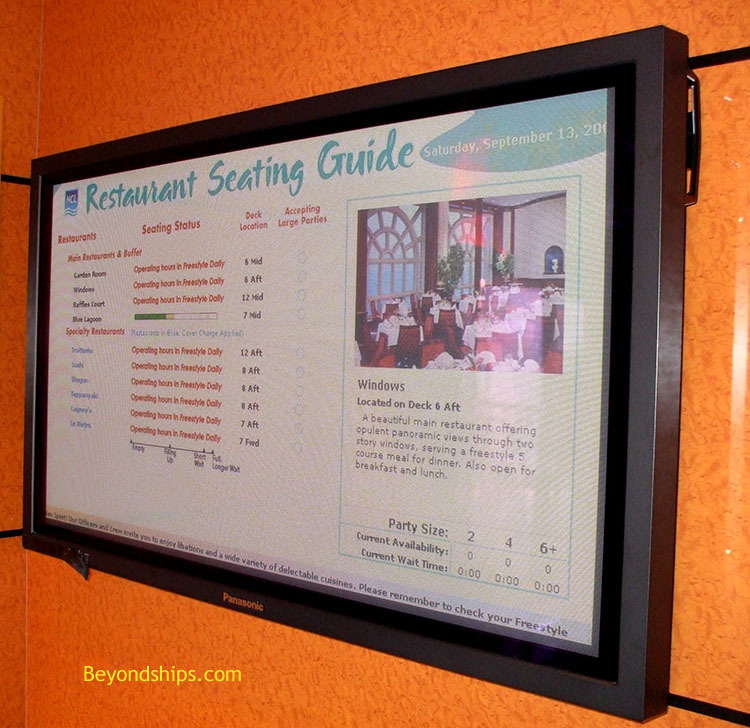 Above: Located around the ship are restaurant guides showing the status of each of the dining venues. 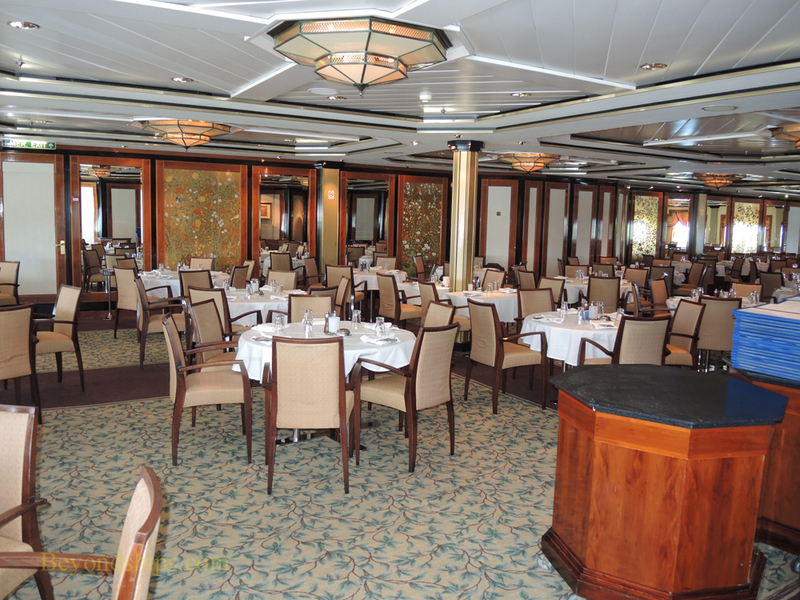 Passengers can see which restaurants are open, how full the restaurants are and which ones have waiting times. 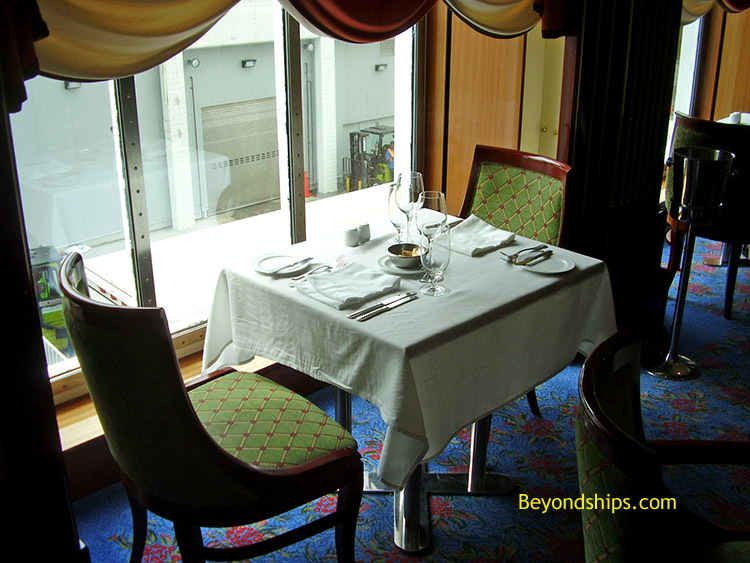 Windows Main Dining Room is located at the stern of the ship and is named for its two-deck high windows overlooking the ship's wake. 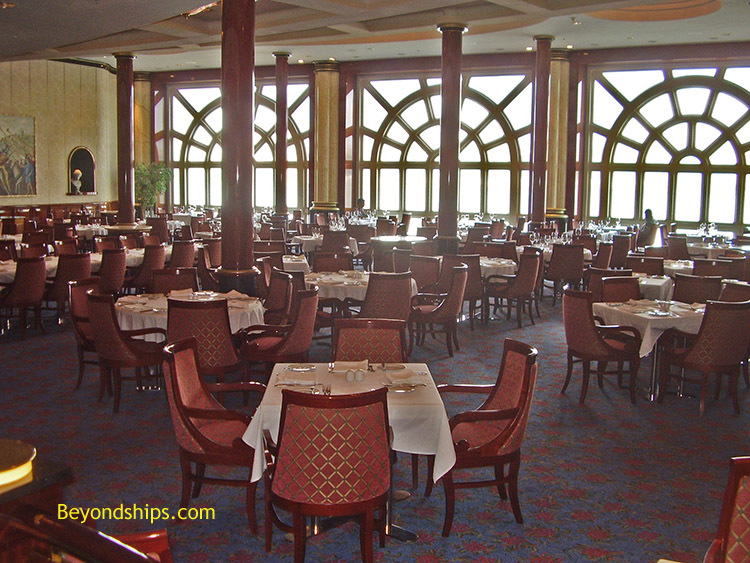 Of all the ship's dining venues, it is the one most similar to the grand dining rooms of it has a variety of seating arrangements including intimate tables for two, it has a variety of seating arrangements including intimate tables for two, medium-size family or multi-couple tables, and large group tables in a number medium-size family or multi-couple tables, and large group tables in a number of different settings. 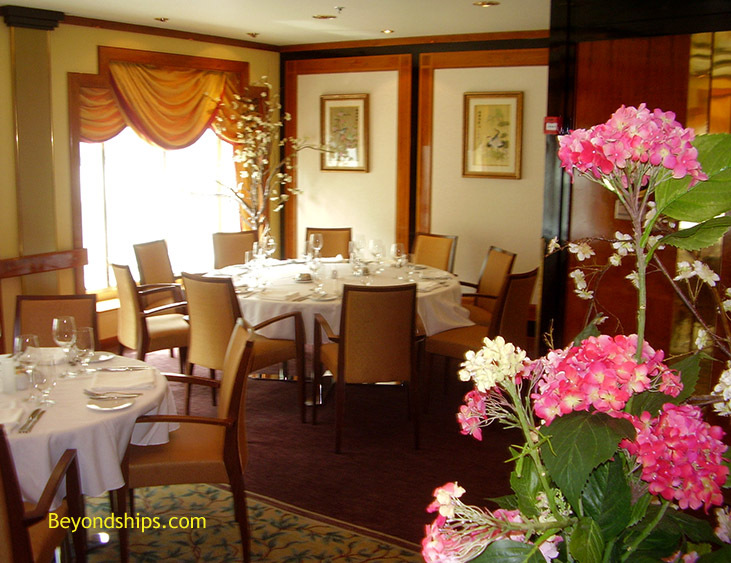 The Garden Room Main Dining Room is located amidships. However, the large windows on either side of this U-shaped room provide enough light to avoid the dark enclosed feel that sometimes plagues midship dining rooms. 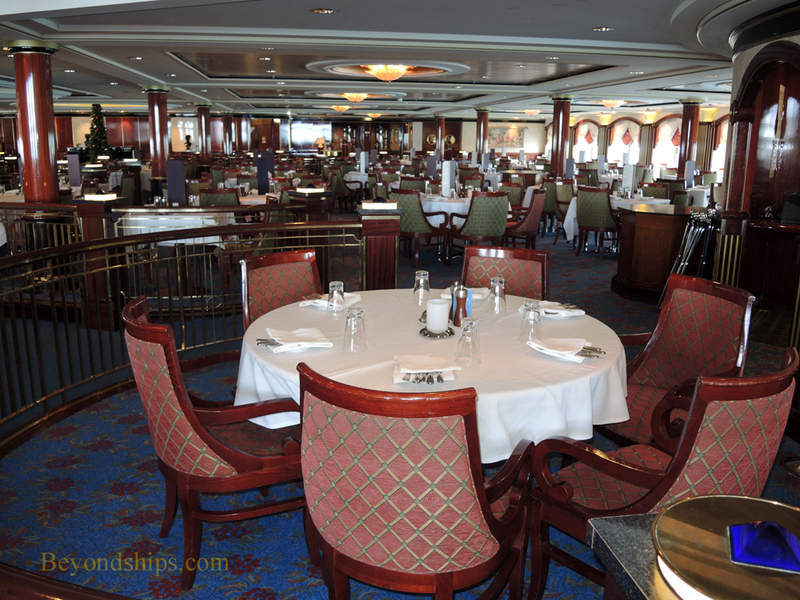 Its 366 person capacity is not as large as the Windows dining room but it nonetheless has a variety of seating arrangements. 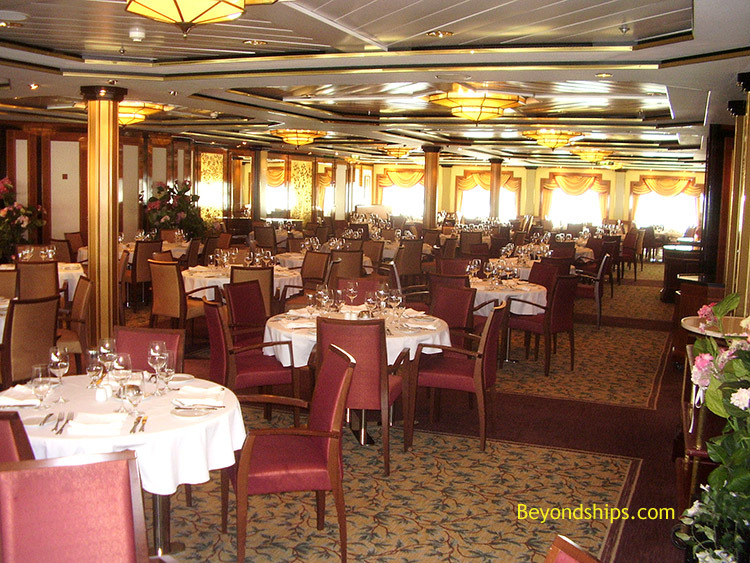 The overall style is upscale and restrained, with beautiful touches of flowers.